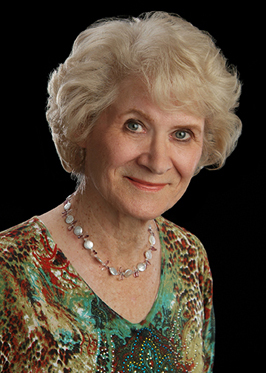 Internationally recognized consultant, author and teacher, Wanda Draper is a Professor Emeritus of Psychiatry and Behavioral Sciences in the College of Medicine, University of Oklahoma (OU). She serves as President of Education Futures International, and for 17 years she served as Executive Director of the Oklahoma Child and Family Institute. She founded the Early Childhood Development Center affiliated with the OU Health Science Center where she taught for 20 years. Consultancies include public and private education as well as court consultation and expert testimony in capital trial, child custody, and child development issues. She is a developmental consultant for children and families. She has authored 16 books, 60 audio cassette programs, 5 videos and numerous articles. Examples of books: Living and Working with Children, Your Child is Smarter Than You Think!, The Caring Parent, Caring for Children, and Is There A Nanny in the House? Audio and videos include: Heading for School Success; Parent-Child Relationships, and Creative Parenting. Emotional Development and Father’s Role in Development were both published in the International Encyclopedia of Research and Education. She has appeared on television, radio and in newspaper and magazine articles, including The Wall Street Journal, USA Today, The New York Times, The Washington Post, Parent Magazine, Health Magazine, American Baby, CNN World News on TV, The Oprah Winfrey Show, and Hong Kong Radio. She has been quoted world-wide in over 1500 articles and newspapers. Internationally, Dr. Draper has provided consultation and seminars in Singapore, Hong Kong, the United Kingdom and Romania. She holds a professorship with Anthenaeum University in Bucharest where she taught medical students as a visiting professor. She has trained and directed the work of over 50 professional volunteers from the US to work in orphanages and hospitals for abandoned children in Romania. She has interviewed Russian, Czech and Romanian cosmonauts and American astronauts in her study of super achievers. She is currently working on Attachment research in collaboration with Romanian professionals. Formerly, she has been Assistant Dean at the University of Wisconsin at Stout, Director of Child Development for the Oklahoma Department of Health, and on the faculty at University of Central Oklahoma and Texas Woman’s University. She has also taught at the preschool, elementary and secondary levels. For eight years, she served as co-director of the Diagnostic and Therapeutic Center in the OU Department of Psychiatry, and for seven years was a consultant for the Oklahoma School of Sciences and Mathematics, and for the State School for the Deaf. Dr. Draper has earned the prestigious Regents’ Award for Excellence in Teaching at the University of Oklahoma and the Award for Outstanding Professional Service from the Oklahoma Psychological Association. A native of South Texas, she received her degrees from Texas Woman’s University, with additional studies at Harvard University and the International Center for Genetic Epistemology, Geneva, Switzerland. Writing books and consulting abroad, adding to her already action-packed lifestyle as expert witness in capital murder cases, is balanced by Texas Hill-Country gardening with her cat, Luna. © Education Futures International 2014.